Derbyshire have released wicketkeeper Gary Wilson by mutual consent. 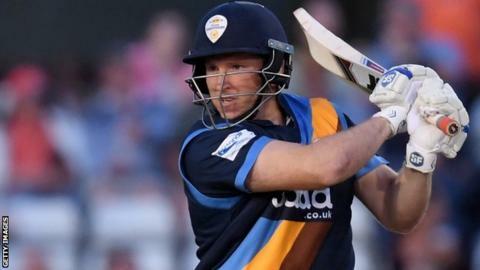 The 32-year-old Ireland international joined the Division Two side from Surrey in 2016 and scored 1,281 runs in 50 matches. Wilson, who had a year left on his deal, will now return to Ireland. "With Ireland gaining full ICC membership and being part of the future tours programme, coupled with my young family, this is a good opportunity to move home," he told the club website. With Ireland having recently earned Test status, Ireland international players will only be able to continue in English county cricket after the 2019 season if they re-register as overseas players, as they will no longer be able to feature as "domestic" players.